I’ve loved Judy ever since I was little. 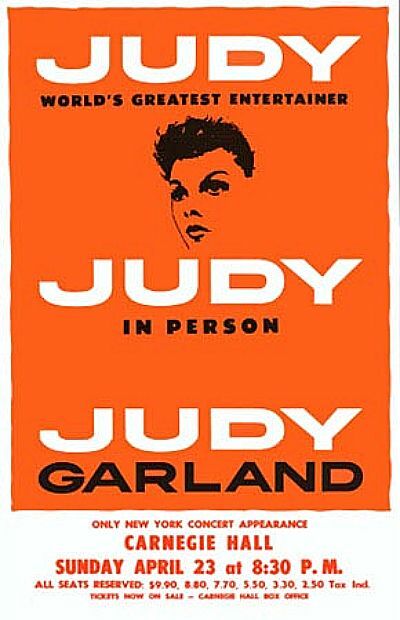 I don’t remember my childhood (I’ll write about that someday, it just vanished), but I do remember Judy. My mother used to record her movies from library copies and TCM, I think (I’ve loved that station for decades) so that I could watch them over and over again. I don’t know how many times I’ve seen The Wizard of Oz or Meet Me in St. Louis. There’s something incredibly magnetic about her performances, and as I’m growing older, I’m rediscovering my admiration. I hadn’t listened to much of her music outside of her films, and I am constantly being blown away by her talent. She was truly a legend. Enjoy this album, I’m obsessed with it.